FamilySearch announced that they will be discontinuing its microfilm distribution services. They are currently in the process of digitizing microfilm. The last day for Family History Centers to order microfilm will be on August 31, 2017. Family History Centers will have the option to return microfilm that is available online or that is otherwise not needed. As more images are published online, the Family History Centers can reevaluate whether or not they want to retain their microfilm holdings. There are several reasons why FamilySearch is discontinuing its microfilm distribution. The main reasons are that significant progress had been made in FamilySearch’s microfilm digitization efforts, and that microfilm technology is obsolete. 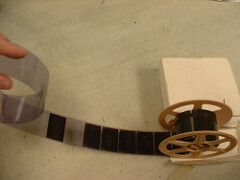 In addition, online access to digital images allows FamilySearch to reach many more people, faster, and more efficiently than it could with microfilm. Over 1.5 million microfilms have been digitized by FamilySearch. This includes the most requested collections based on microfilm loan records worldwide. The rest of FamilySearch’s microfilm collection should be digitized by the end of 2020. All new records from FamilySearch’s ongoing global efforts are already using digital camera equipment. FamilySearch is also ending its microfilm distribution service because the cost of duplicating microfilm for circulation has risen dramatically, while demand has decreased significantly. It is also costly to maintain the microfilm equipment. It is no longer feasible for FamilySearch to continue the microfilm distribution. Director of Patron Services Division of FamilySearch, Diane Loosle noted that FamilySearch will continue to preserve the master copies of its original microfilms in its Granite Mountain Records Vault as added backup to the digital copies online. In other words, the microfilm will still exist. It will not be destroyed. * You can access them in Records Check out the “Browse all published collections” link. * You can access them in Books. Family History Books is a collection of more than 325,000 digitized genealogy and family history publications from the archives of some of the most important family history libraries in the world. * You can access them in the Catalog. Search the catalog of genealogy materials made available by FamilySearch. Microfiche circulation is also ending at the same time as microfilm distribution. A microfilm that is not yet available digitally on FamilySearch might be scanned later (because it has lower demand than other microfilm). Some microfilm may have a contractual, data privacy, or other restriction preventing access.